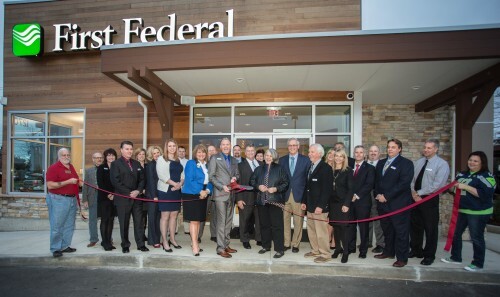 SEATTLE, WA (February 3, 2016) – On January 15th, First Federal Savings and Loan (First Federal) welcomed 2016 with the grand opening of its newest branch in Bellingham, WA. This 3,000 sq. ft. branch is based on First Federal’s recent flagship branch designed and built by Momentum. 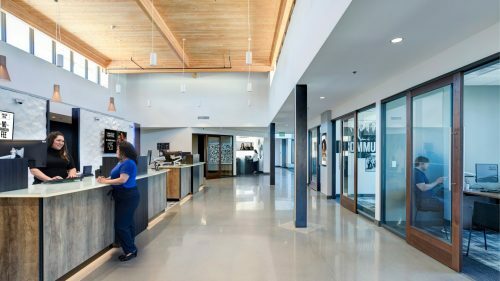 The new location demonstrates the bank’s commitment to serve customers in Whatcom County, and it is designed to connect their hometown style customer service to high-tech digital banking services. 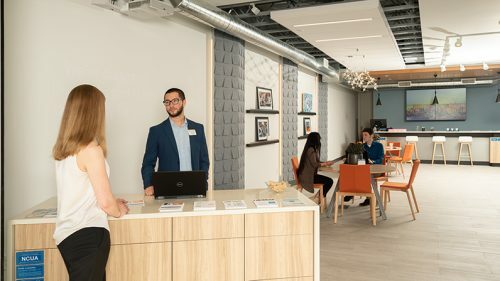 The branch offers their customers a tailored experience from in-depth personal consultations in functional meeting spaces to state of the art Interactive Teller Machines (ITMs) for quick and easy visits. Larry Hueth, President and CEO, praised his team for embracing the digital age and offering innovative banking solutions for local communities. Hueth credited the amazing grand opening turnout in part to the newly hired Vice President of the Bellingham Market Area, Troy Wills, for his deep ties to the local community. First Federal gave special recognition to the Bellingham/Whatcom Chamber of Commerce and local businesses for promoting and supporting the new branch.